While it can make me a little crazy, I’m as fond of award season as anyone. And when institutions in Japan announce their manga awards, my fondness is coupled with a serious spike in my covetous streak. So let’s take a look at the comics recognized in this year’s 13th Japan Media Arts Festival Awards, sponsored by the Ministry of Cultural Affairs, and try to figure out how badly we want them. Imuri, written and illustrated by Ranjou Miyake, is being serialized in Enterbrain’s Comic Beam, which is always a good sign. It seems to be a science fiction story about a boy with a big destiny. Sorry, but that’s all I’ve got. Enterbrain does repeatedly refer to Miyake as a genius in solicitations for her books, and I know of no evidence to the contrary. She also seems to sometimes traffic in that fascinating crossover territory between science fiction and shônen-ai, which often yields intriguing results. Kono Sekai no Katasumi ni, written and illustrated by Fumiyo Kouno, is by the creator of Town of Evening Calm, Country of Cherry Blossoms, which should be all you need to know to wish desperately that it be licensed for publication in English as quickly as possible. Kono Sekai no Katasumi ni was serialized by Futabasha in Web Manga Action. 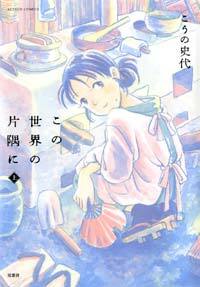 It seems to be a three-volume drama about adapting to a new life in a new town during the deprivations of wartime. And it’s by Kouno. Who did Town of Evening Calm, Country of Cherry Blossoms. What else is there to say? 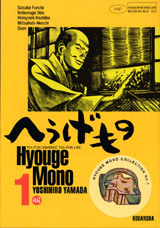 Hyouge Mono – Tea for Universe, Tea for Life, written and illustrated by Yoshihiro Yamada, is being serialized by Kodansha in Morning. 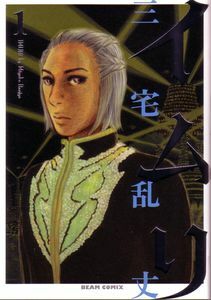 Ed Chavez wrote about Yamada’s work in general and this series in particular for Otaku USA, describing it as guiding “readers through the war rooms of these feudal lords as they worked to unify parts of the country. His passion for his lord is intense, but it can easily be rivaled, if not surpassed, by his appreciation for the world of tea.” It sounds fascinating. Encouragement prize recipient Hesheit Aqua, written and illustrated by Wisut Ponnimit, was published by what seems to be a relatively small, relatively new publisher called Nanarokusha. 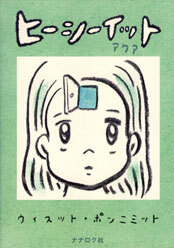 Ponnimit has had manga serialized in Shogakukan’s IKKI. From what I can garner, Ponnimit’s winning title seems to be a collection of abstract shorts. Perhaps it’s more likely that we’ll see Ponnimit’s Blanco on Viz’s SIGIKKI site first. This entry was posted on Friday, December 4th, 2009 at 9:56 am and is filed under Awards and lists, License requests, Linkblogging, Polls. You can follow any responses to this entry through the RSS 2.0 feed. Both comments and pings are currently closed. Rare scans on selected Japanese blogs uncover a fascinating style. For the story itself, I have to wait some more time for the first volume to arrive from a Japanese bookstore, but I think in advance that’s been an excellent buying decision on my side.